1 Square Bar Table 35W x 35D x 41H, 4 Barstools 23W x 21D x 46H. Seating Dimensions:22Wx18Dx28H. This Harper Creek Dark Brown Wicker Outdoor Dining Set is designed to be long lasting as well as stylish. Each piece is powder-coated to create a beautiful framework. The colorful and appealing cushions feature a high-quality foam core wrapped in UV protected olefin fabric. 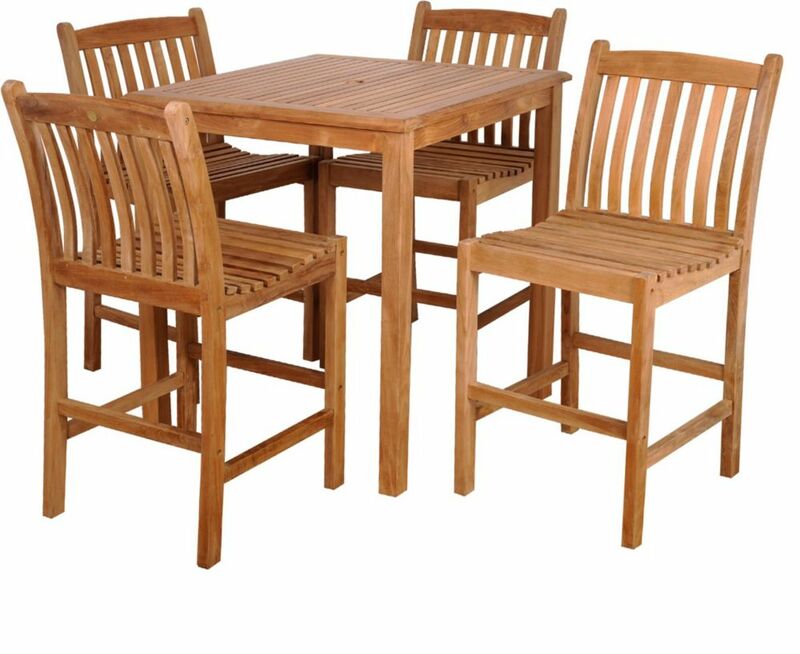 Eden Teak 5-Piece Patio Bar Set The Amazonia Teak sophisticated line combines quality, style, and comfort. Crafted of high quality teak (Tectona Grandis), this modern furniture collection will make an immediate impact in your patio.